Priava, the leading cloud-based venue management software company, has announced that it is seeing an increased demand from churches, cathedrals and other religious organisations who are looking for technology to help optimise the revenues they can earn from hiring out their impressive buildings and spaces for events. EMEA Head of Sales at Priava, Mike Jeanes commented, “The UK and Ireland is home to some of the World’s most iconic and architecturally wonderful cathedrals, churches and other clerical real estate that regularly host, not just their own services, but other private events such as weddings or even acting as a film set. Using cloud-based venue and event management technology, places of worship can automate many of the tasks associated with booking and delivering events. As a result they can increase the volume and complexity of events they are able to hold, and at the same time increase funds towards the running and upkeep of buildings and for the overall benefit of their own congregations and communities. 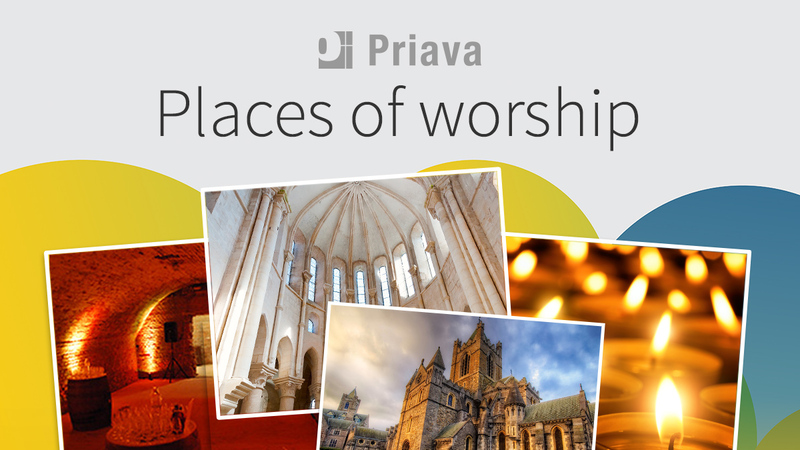 Two well-known places of worship that have recently chosen to implement Priava include Christ Church Cathedral in Dublin and St. Andrew Holborn Church in London. Susanne Reid, Head of Tourism and Events at Christchurch Cathedral, Dublin, commented, “The reason we chose Priava was to provide our events team with a professional system that could save substantial time and enable us to more efficiently manage the Cathedral’s increasingly busy diary, from booking spaces for clerical meetings through to hosting a wide range of events such as lunchtime recitals or evening concerts. •	Repeat & reoccurring bookings - Save time and manage repeat bookings and create and edit reoccurring events with ease e.g. services/masses, prayer times, educational tours, community outreach programs, special events and celebrations etc. •	Customise reports & booking templates - The easy-to-use report designer enables administrators to create simple and effective booking forms and contracts etc. This press release was distributed by ResponseSource Press Release Wire on behalf of TTA Communications (Bath) in the following categories: Food & Drink, Media & Marketing, Computing & Telecoms, for more information visit https://pressreleasewire.responsesource.com/about.